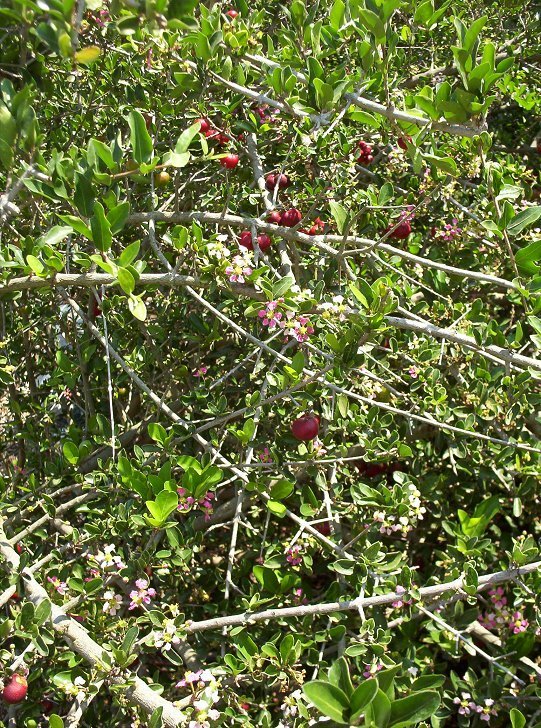 Acerola berries grow on a sprawling bush. They are too tart to eat straight but are very popular in Latin America as an ingredient in ice cream and candy. Being very high in vitamin C, Acerola has recently become popular as an ingredient in health food. The flavor of acerola can be described as being similar to sour cherries.